With Marvel’s first major Disneyland attraction about to open, Team Mousetalgia has a marvelous show in store for you this week. Fist, Funko’s first Disney Treasures subscription box “Pirate’s Cove” has arrived, and we review the vinyl collectibles inside. Is the subscription worth maintaining? We’ll give you our two doubloons! Next, Disney Legend Lea Salonga performed in San Francisco, and Jeff was there to report on the concert; and finally, we welcome Brian Crosby, Creative Director of Themed Entertainment for Marvel Entertainment, to speak with us about Marvel’s role in upcoming projects at Disney Parks and beyond. Crosby talks about how Marvel has started working its way into the parks, overcoming many fans’ initial skepticism to become an integral part of the Disney experience due in part to its unique brand of storytelling. We also discuss “Guardians of the Galaxy: Mission Breakout” and talk about the design, the story development, the music, and the process of putting together a completely new experience from this irreverent franchise. 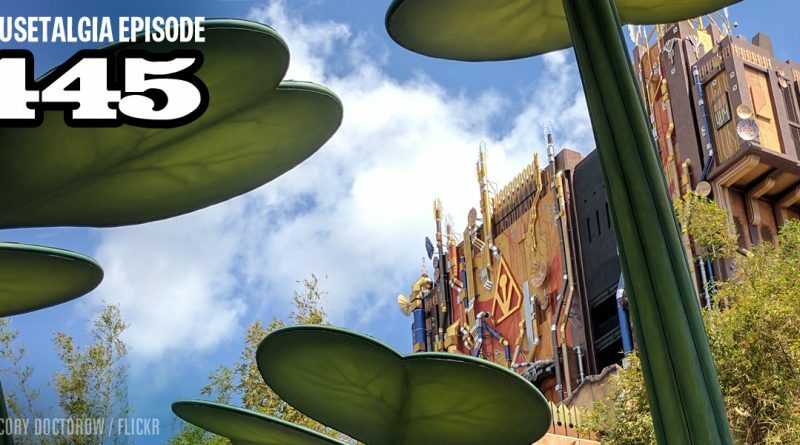 Plus, Marvel meet ‘n greets – we have suggestions for Disney!